A momentous symposium was held at Stanford university last year to commemorate the 50th anniversary since the original description of Bronchopulmonary Dysplasia (BPD) was first articulated1 by Dr. William Northway and him team in 1967. This symposium, which was attended by several leaders in the field, was held as a platform where researchers could come together and highlight the progress that has been made to date, along with discuss future perspectives. The event was divided into 5 sessions with keynote presentations provided by speakers who have made noteworthy contributions in the field of BPD. We are proud to say that amongst such speakers were Dr. Bernard Thébaud, Dr. Rory Morty and Dr. Rob Tepper, who gave very informed and thought provoking lectures during the symposium, are active users of our SCIREQ systems! We would like to extend our Thank You to all investigators who constantly strive towards making new strides in this field of preclinical pediatric research. 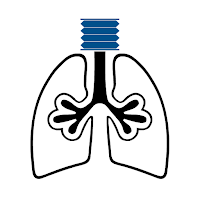 Learn more about how SCIREQ’s solutions can be implemented into your research needs or how our instruments are being utilized to study Bronchopulmonary Dysplasia. When working with obese mice, what weight should be used when performing flexiVent measurements? This question is quite an important one for two reasons. First, there is a substantial difference in weight between the obese subjects vs. the lean control group. 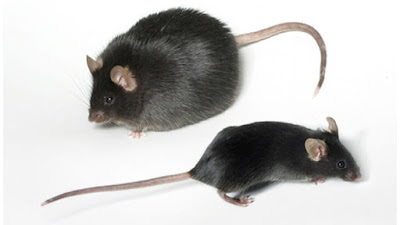 For instance, obese mice can weigh 50g or more, while their age-matched control group can typically weigh 30g. While there is this significant difference in the weight between both groups, there may not be a large difference in the actual size of the subjects’ lungs. Second, when working with the flexiVent system, the body weight of the subject is used to scale the amplitude of volume-controlled ventilation patterns and perturbations, such as the Snapshot-150 or the Quick Prime-3. In obese animals, the increase in body weight is not proportional to the subject’s lung size, so sending in a larger volume can have adverse effects on the subject’s lungs. A recent study performed by Dr. Guivarchis et al.1, highlights the harmful effects of ventilating obese subjects with a tidal volume based on actual weight vs ideal weight using the flexiVent system. In this study, the effects of two hours of mechanical ventilation in a diet-induced obese mice model, with tidal volume calculated on either the actual body weight or the ideal body weight (based on the mean weight of control mice) were demonstrated. Their findings indicate that in comparison to lean control subjects, mechanically ventilating obese subjects with a tidal volume based on actual body weight is harmful. They observed a noticeable variation in lung mechanics and associated lung inflammation in obese mice ventilated with a tidal volume based on actual body weight. In contrast, obese mice ventilated with a tidal volume calculated using the ideal body weight had lung mechanics and inflammation parameters close to the lean control group. Therefore, when studies involve the assessment of obese mice, SCIREQ recommends entering the average weight of the lean control group rather than using the actual weight of the obese subjects. 1Guivarch et al. Pulmonary Effects of Adjusting Tidal Volume to Actual or Ideal Body Weight in Ventilated Obese Mice. Sci Rep. 2018 Apr 24;8(1):6439. doi: 10.1038/s41598-018-24615-5. ATS is just around the corner and we hope to see you in San Diego! During our annual breakfast event at ATS on Monday, May 21st, Dr. Otmar Schmid (Helmholtz Zentrum, Germany) will discuss his “off-label” use of the flexiVent for the delivery of inhaled compounds. By optimizing the ventilation profiles and nebulizer settings, Dr. Schmid and Dr. Annette Robichaud obtained significant improvements in aerosol deposition rates, as well as homogenous deposition profiles. We would love to learn more about your research and discuss some tailored solutions. 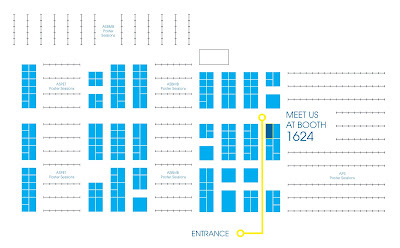 Find us at Booth #1535 in Exhibit Hall D.